Get out from underneath that mountain of Post-its, my friend! We’ve taken the guesswork out of your wedding workflow and will tell WHAT you should do and WHEN with every single wedding. Provide an incredible client experience – every single time! Generate rave referrals because you’ll be SO ON IT! Never let another task fall through the cracks again! Start operating your business like an OWNER instead of a DOER with our in-depth wedding and engagement workflows! Learn more below! This guide includes workflows for BOTH Weddings and Engagements, and are the EXACT workflows we use for every single one of our weddings across our three brands! They will not only save you loads of time in post-production, but will tell you when to post social media to get your images in front of your Dreamies! Each workflow is customizable and can be used on their own or easily implemented into your studio management software of choice (we use these workflows in Tave). 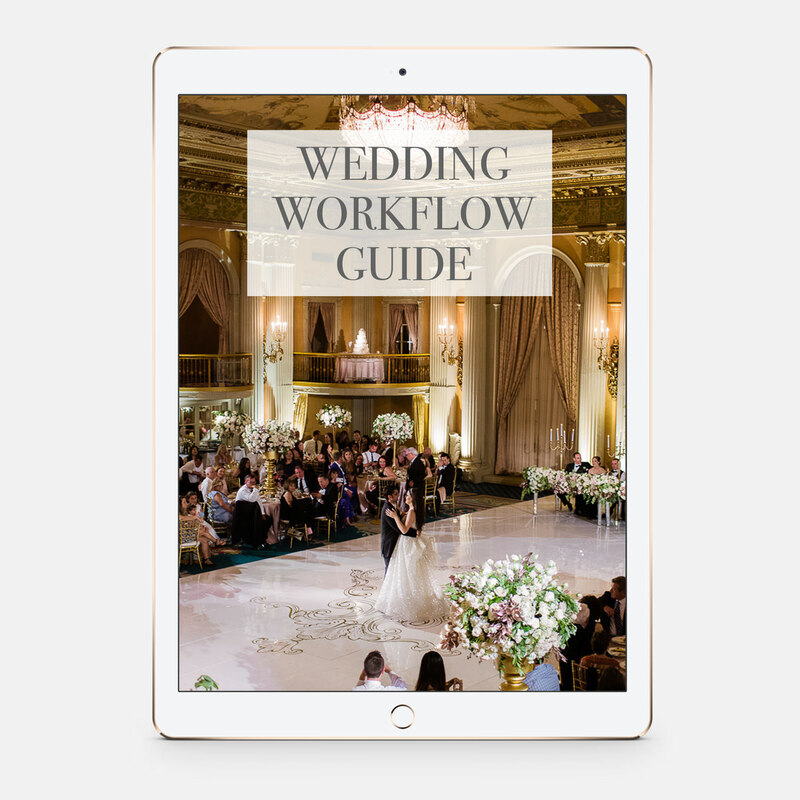 These workflows are also used in conjunction with our Wedding Email Template Collections and both of these products are included in the Complete Wedding Toolkit. Each workflow begins as soon as the client books, moves through the communication process, and ends with the final delivery of the images including archiving of the job. 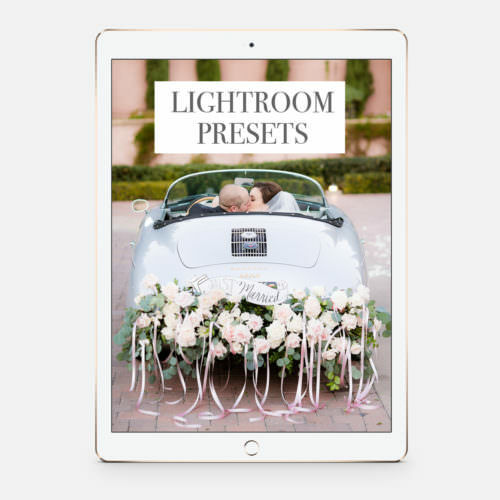 This workflow also includes important marketing tasks such as posting sneak peeks to Instagram, blogging your weddings, delivering images to vendors, and posting to your social media channels like Facebook and Pinterest. Never forget to market yourself again! All of our workflow guides include major milestones with a corresponding due date and subtasks listed beneath, and each task is tagged with a role (ie Studio Manager, Photographer, Editor, etc). By knowing what role in your business is responsible for each task, you will be able to run your business like a CEO instead of an employee. These workflows are perfect for the individual photographer, but they also lay the right groundwork if you want your business to grow. 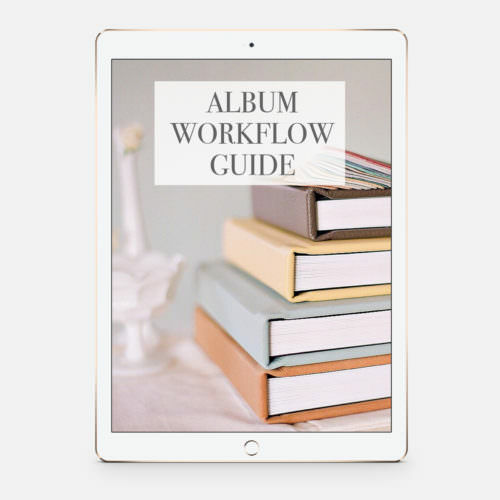 (Important note: This guide doesn’t include a workflow for albums – that is a separate workflow available in the store or in the Complete Wedding Toolkit).